In response to the mind map in part 1, it was time to start designing the mushroom. Like the rest of the scene the story did not say exactly what kind of mushroom it was just that it was large and about the same height as alice. I made a moodboard of several different types of mushroom to help inspire my ideas. I also kept in mind my older target audience for my project which was teenagers and adults. 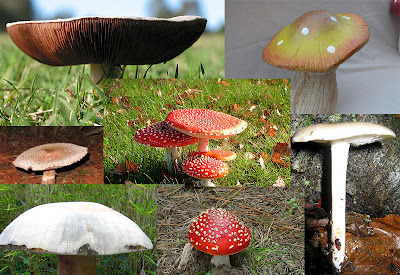 So that I could make my decisions accordingly as I thought that some types of mushroom may not be appropriate for them because of the way they looked. 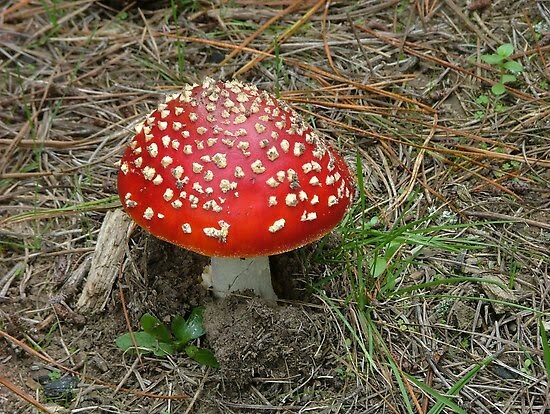 For example some kinds of mushrroms such as the ones with faces may be a little to simple for my scene and may not meet the audience needs.I also thought about what the look and colour of the mushroom would communicate visually to my target audience. 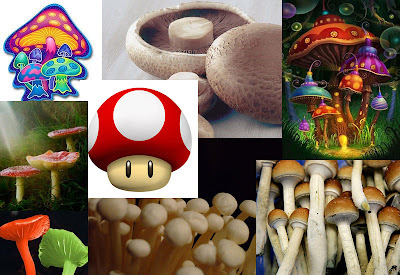 After looking at several examples of mushroom, and then I though about what the mushrooms purpose was in the story. It was for the character "the caterpilar" to sit on and also for alice too climb up so it had to be appropriate for its purpose. I made a decision that the kind of mushroom in the scene must have a large cap or top that was suitable for the character to sit on. 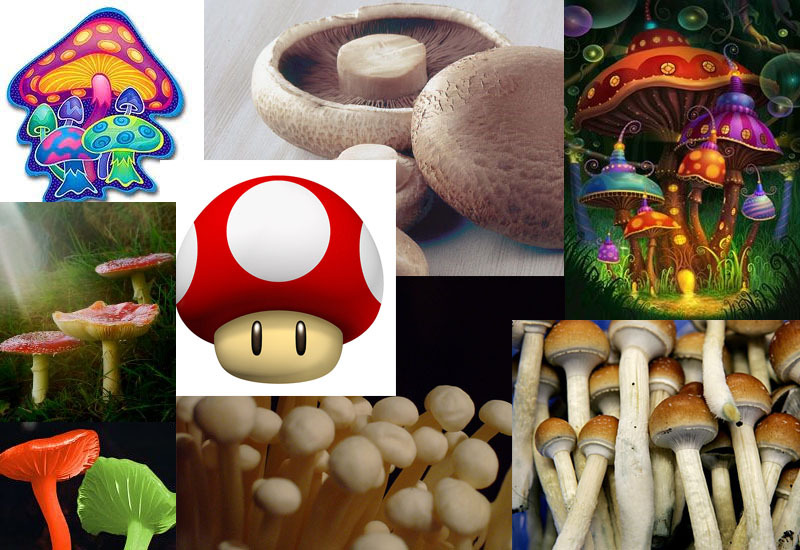 I decided to make another moodboard of mushrooms that woul be appropriate for this purpose. The red mushrooms with the white spots are my favourite espeicially the smaller because of there shape and colour they immediatley communicate visually that they are mushrooms.The red will also be a good contrast against the green grass in my scene. 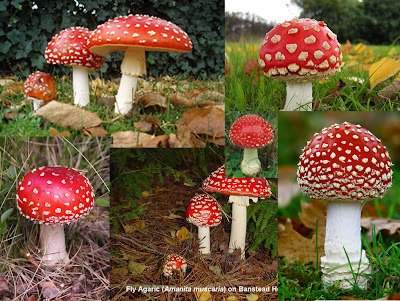 I decided to make another moodboard based on these types of mushrooms to help me develop my idaes furthur. Some of the examples above would be hard to make sturdy enough for a character to sit on and they also may be too long to fit in the shot. If I made something like the example below it would be suitable for the character to sit on and be small enough to fit in the scene. I decided to draw some rough sketches on how I wanted the mushroom to look.